Hanel - Phone Us At 800-326-4403 See a video at the bottom of this page! Over 60% more storage capacity! Faster storage and retrieval, increased productivity! Optimum use of storage volume, due to height-optimized storage! Storage and handling of bulky and heavy parts! Load-carrying capacity per container up to 1,000 kg! Load-carrying capacity per Lean-Lift up to 60,000 kg! Optimum utilization of floor space. The term upward mobility takes on a new meaning with the Rotomat! The Rotomat is as flexible as you need it to be. Units can even stretch over several storeys! Goods to user is the motto, not user to goods. Personnel costs and cycle times can be reduced! High-performance control units and computer links ensure that the Rotomat can be put to use flexibly and on an individual basis! The required parts are brought to the ergonomic retrieval height at the touch of a button! Safety is of paramount importance. No climbing of ladders; no danger of accidents! The Rotomat protects all parts from dust, light and unauthorized access! Hanel did a great job again at the 2014 CeMAT Show. A highlight of the Interlogistics Industry worldwide the show drew over 53,000 visitors from 65 countries. Hanel's showed thier latest inovations in a booth with over 3,000 sq ft of warehousing and interlogistic products and software solutions. The Hanel controller running as an SAP terminal showed how software is the backbone of effective and efficient solution in interlogistic solutions. The extra-wide Lean Lift showcased a high payload and high speed retrieval in wide Leanlifts. This lean Lift comes as wide as 16 feet. Each container can hold up to 1,540 pounds and the high speed drive system moves an extractor speeds up to 5.25 feet per second. At the center of the Hänel Lean-Lift is a computerized positioning elevator - called the "extractor". In front and behind it are the storage shelves. This is where the articles are stored in containers. 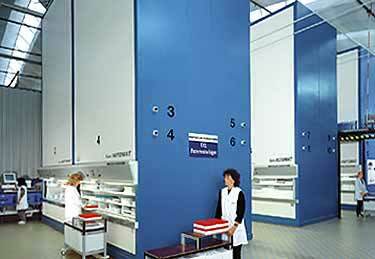 The storage locations are accessed under electronic control by the extractor. It stores or retrieves the container requested. 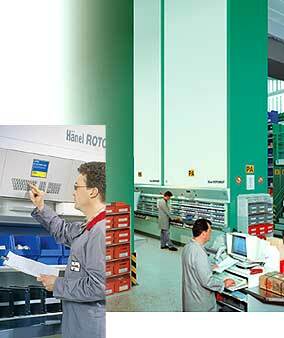 Hanel provides solutions nation wide as well worldwide. With an offering of virtually unlimited load capacities and sizes Hanel have been a great solution for almost any kind of storage you can think of. The bottom line is it saves you floor space and makes you more productive. Lately solutions have been a chosen solution because it promotes "green building". Since it allows such great storage in such a small footprint it allows architects and designers to build a smaller building. In fact a greener building. The case for building "Green"
Hanel s give a reduced footprint advantage for storage of all types. Hanel builds their own motors for carousels. Thousands and thousands of units produced for the USA only one motor has ever failed. Hanel makes their own gears, plastic wheels, and make their own circuit boards. Everything is made to work perfectly together and the only way to achieve this kind of precision is to manufacture parts themselves. 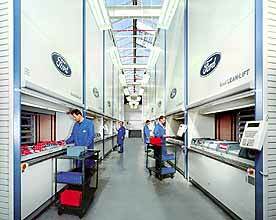 The factory is clean, organized and automated beyond belief. Employees are happy and hard working. The lighting in the factory is amazing. You need it so workers can see for exacting standards. 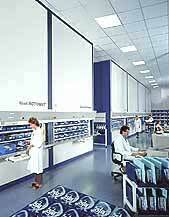 When you see brochures of the factory floor it looks clean and elegant as a professional office. They don’t have to dress it up for a photo shoot, it is just that way. The employees are very clean, it also looks like they are staging for a photo shoot but that is just way it is day in and day out. Robotics run on precision and Hanel precision is the best. If they say 8 am they mean 8 am not 7:59 or 8:01. They engineer and build their lifts and carousels the same way. Welded precision, each little bit of perfection is important because otherwise small variances grow exponentially. 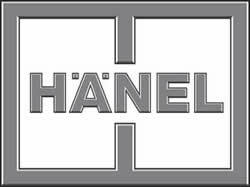 Hanel machines are simply the best quality at the best value available in the world.